These four objects were developed out of a trip to Naples. A group of art and architecture students went to Naples and the periphery. The installation consists of four tables that show pictures of our walk through Pompeii. 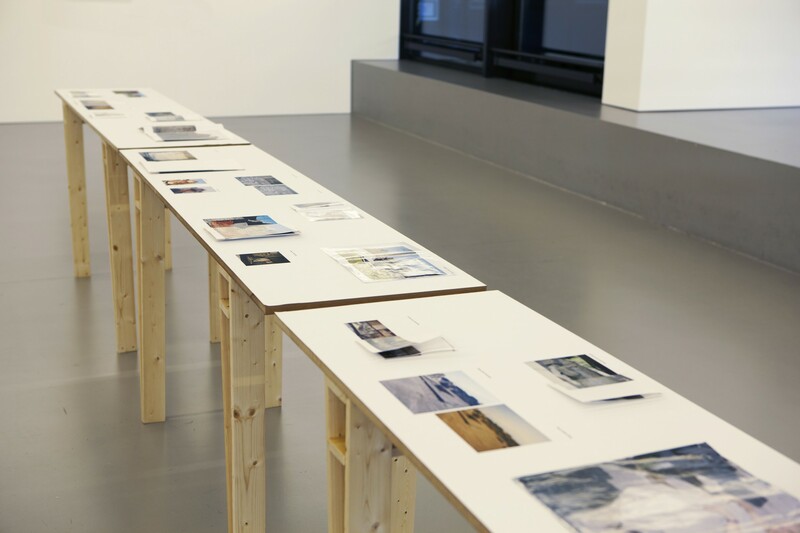 Through using pictures from every art student of the group, which are marked on the tables with the name of each file, the work is dealing with the recurring image motifs that are taken of such famous and historical places like Pompeii. Enzo Mari. 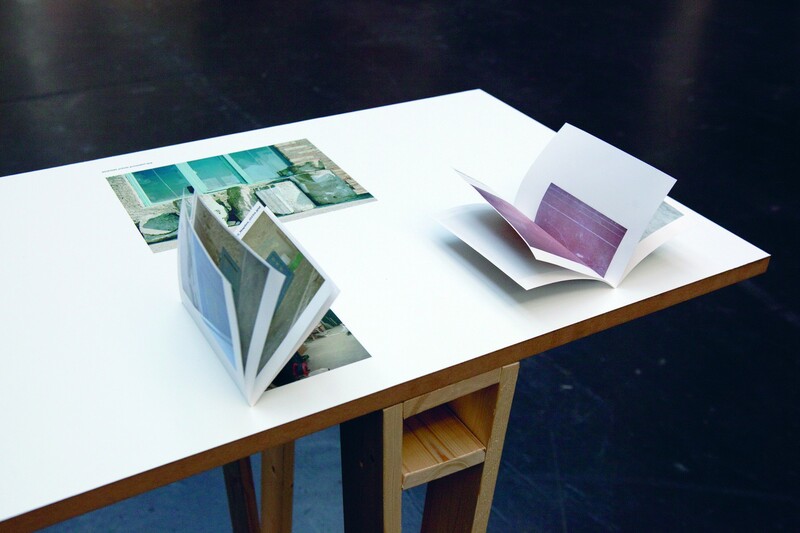 The way of attaching the photos directly onto the tables like bookchapters, turns the objects into hybrids between designed library tables and monumental books. 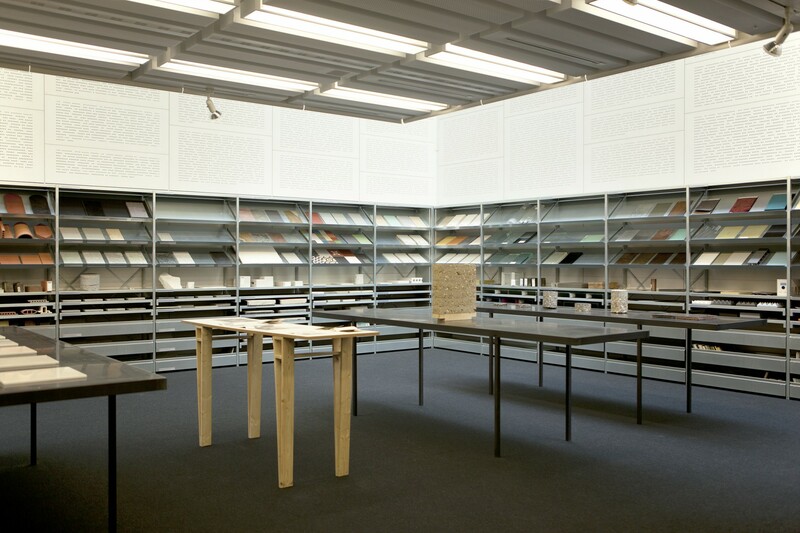 During an exhibition at gta exhibitions, Zürich I installed one of the tables in the architecture library of the university. They have a special material collection for research. Through adding my table to the already exhisting tables a new dialogue between them and a shift of the different contexts developed. Suddenly the stones in the installation shot are perceived rather as part of an art installation than material examples for studies. The phototable, that shows stones from an archaelogical site also get integrated in a larger context.